What Do Customers Want from a Bar? Customers often feel differently about their favorite bar than they do about their favorite restaurants or coffee shops. A bar is a very intimate and personal establishment. Customers visit bars to wind down after a busy work week, connect with old friends and new acquaintances, share their problems and concerns with an eager listener, and enjoy good times with good food and drinks. Because a customer has such a personal relationship with his or her favorite bar, they may come to think of it as "their" bar, even though you are, in fact, the owner of the establishment. This relationship, however, is good for business. It is the goal of every bar owner to create an atmosphere that is inviting and comforting to consumers. When customers feel at home in your bar, they will be more willing to spend extra money to stay longer and enjoy prolonged company. The question you must ask yourself is "What do customers want from their bar?" When you can answer this question and provide customers with what they are seeking, you'll be well on your way to generating substantial profits from your bar. Above all, customers want a bar that is intimate and personal. By including unique items on your menu or creating small, intimate conversation areas throughout your bar, you can make sure that your establishment stands out from the rest. There is a delicate balance between predictability and variety that must be reached in a bar. Customers do want their favorite bars to be predictable and comforting, but they also want to see a little variety every now and then. New drink specials, new menu items, and even a change in décor for special events can go a long way in improving a customer's opinion of your bar. Believe it or not, the cleanliness of your bar is, at some level, a determining factor in customer satisfaction. Customers don't often feel that they are making a decision about a bar based on the cleanliness of the establishment, but a clean bar can ensure that customers feel comfortable and at ease. 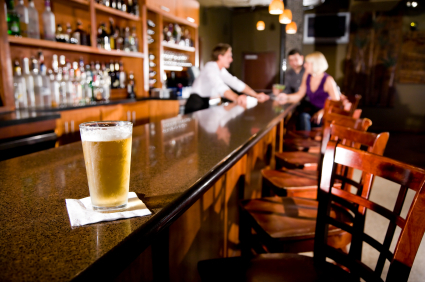 If your bar is cluttered or visibly dirty, customers may not want to stay long. They may also begin to mistrust the quality of your food and drinks. Your bar doesn't have to be as shiny as a five star restaurant, many customers don't mind a little shabbiness in their favorite bars, but you should make sure that your bar is clean and sanitary. Perhaps the most important thing that customers are looking for in a favorite bar is quality. Quality means different things to different customers. Some associate quality of a bar with the quality of their liquor. Others believe that quality is created by ambience and atmosphere. Still other customers believe that the quality of the bar is determined by the quality of the bartender or the clientele. Decide how you plan to market your bar, and ensure that the customers you hope to attract find the quality they are seeking.